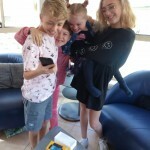 Home | Blog | We Met Meghan and Prince Harry Today and They Were Fabulous! We Met Meghan and Prince Harry Today and They Were Fabulous! 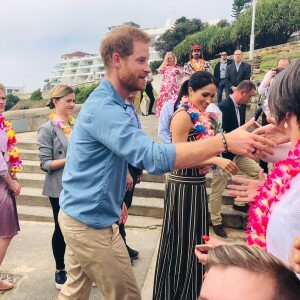 Day four of the royal tour found Duchess Meghan and Prince Harry at the iconic Bondi Beach and we were there! Meghan and Prince Harry were at the beach this morning to take part in a “anti bad vibes” circle with the group, which aims to raise awareness for mental health and wellbeing. Elisa from the MoM team was ready and waiting for the right moment. Elisa shares how it felt to meet royalty explaining that it was an almost surreal experience meeting Prince Harry and Meghan in the misty Sydney morning rain. “We chatted to one of the Bondi lifeguards. They were so excited to see the royals at the beach. 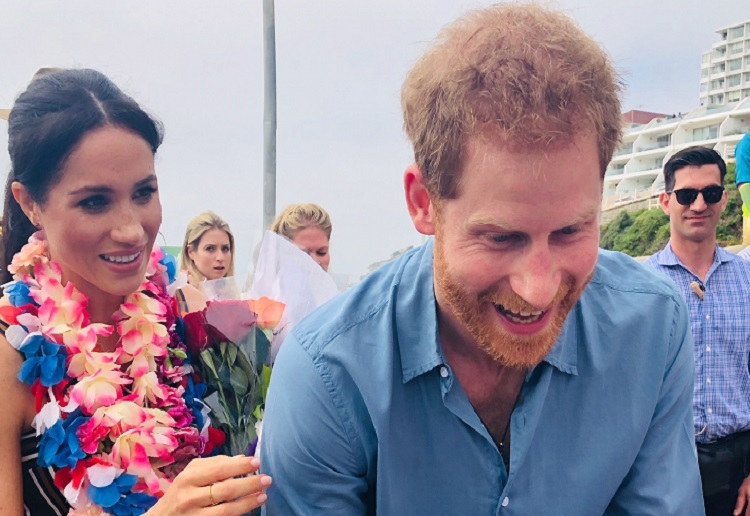 Elisa goes on to say, “It was a very relaxed atmosphere with yoga, on the beach, bare feet, crashing waves (even the royals took their shoes off!). Everyone was so happy and excited! Later today Prince Harry is expected to climb the Sydney Harbour Bridge with PM Scott Morrison to raise the Invictus flag. Tomorrow they will attend the opening ceremony for the Invictus games. We are so excited today in the MoM office I don’t think we will get much work done! Have you encountered the royal couple at all during their travels? To be honest I haven’t been following the royals at all but what I have seen on the news shows what great role models they are for the royal family. Down to earth couple that are likeable. I have not been anywhere near the Royals during this visit, but I am loving following it on TV and across social media channels. They are so normal and down-to-earth and I love watching their travels/visit each night. They certainly are packing a lot into their schedule. They are just so lovely! What a beautiful couple. I LOVE Harry and Meghan. They seem down to earth. Lovely, they seem to be a beautiful pair (inside & outside). 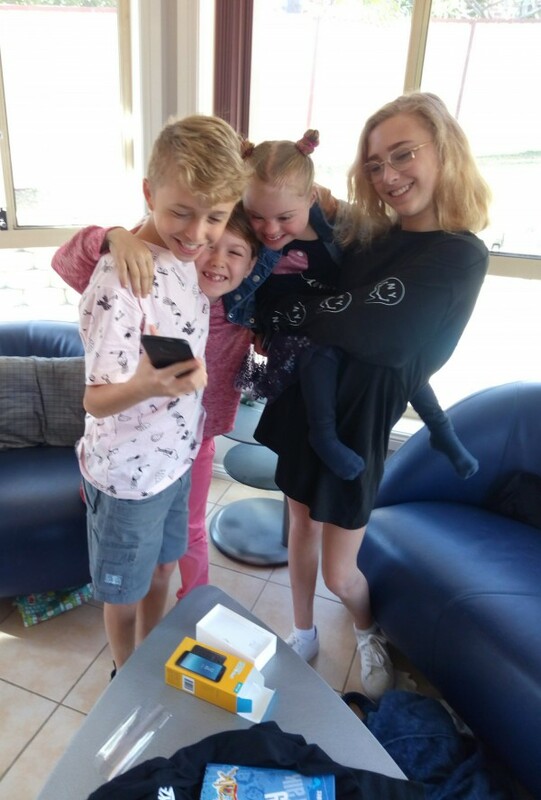 What a moment, can’t wait to have them up here on the Fraser Coast on Monday…. They do seem a lovely couple. Oh wow! I am so envious! They are so charming! What an honour! !